The Miniature Schnauzer is a breed of small dog of the Schnauzer type that originated in Germany in the mid-to-late 19th century. Miniature Schnauzers may have been developed from the smallest specimens of the Standard Schnauzer, or crosses between the Standard and one or more smaller breeds such as the Affenpinscher, Miniature Pinscher, and Poodles, as farmers bred a small dog that was an efficient ratting dog. They are described as “spunky” but aloof dogs, with good guarding tendencies without some guard dogs’ predisposition to bite. 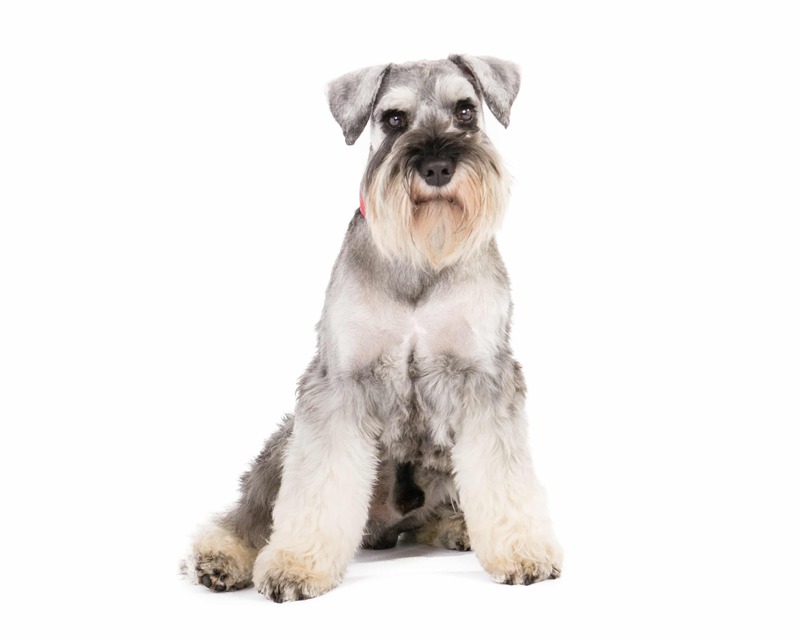 Miniature Schnauzers are recognized in three colors internationally: solid black, black and silver, and pepper and salt. There is a controversial fourth color variant in Miniature Schnauzers, pure white, which is not recognized universally. Miniature Schnauzers have a very square-shaped build, measuring 11 to 14 inches (28 to 36 cm) tall and weighing 10 to 15 pounds (4.5 to 6.8 kg) for females and 11 to 18 pounds (5.0 to 8.2 kg) for males. They have a double coat, with wiry exterior fur and a soft undercoat. A UK Kennel Club survey puts the median lifespan of Miniature Schnauzers at a little over 12 years. About 20% lived to >15 years. While generally a healthy breed, Miniature Schnauzers may suffer health problems associated with high fat levels. The American Kennel Club breed standard describes temperament as “alert and spirited, yet obedient to command … friendly, intelligent and willing to please… never overaggressive or timid”. Schnauzers have a specific groom cut that is standard among the schnauzer breeds. 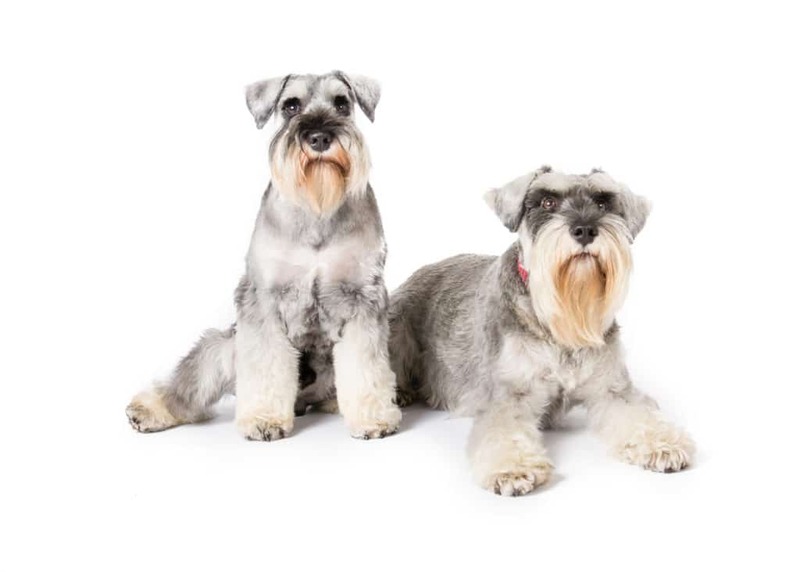 Schnauzers require regular grooming, either by stripping (mostly seen in show dogs), or by clipping (a short-cut usually reserved for family pets).